Washington: Westlife, recently announced their decision to split, have admitted that they had been expecting their split for a few years. The Irish quartet recently made public their decision to break up at the end of a tour next summer but are refusing to think about life after their last concert. “We’re not going anywhere just yet, so I’m not thinking about it. I don’t know whether I’m doing it subconsciously or on purpose. But I think we’ve been preparing for the idea that it’s not gonna last forever for a few years now,” Contactmusic quoted Mark Feehily as telling Britain’s Star magazine. “It will be kinda weird on the last night of the tour in Dublin next year, as that’s when it will be scary. It’s like, `What do you do after the concert?’ Because that’s it! It will be the last time ever! Do you go off for a drink; do you go for a cry? It’s one of those weird moments that we haven’t experienced, but when we do, I know it will feel like we’ve been hit by a ton of bricks,” Shane Filan said. Even as the band mates are comfortable with the idea of splitting, their manager Louis Walsh is still struggling with their decision. We’re worried we’ll have to set up a helpline for Louis because he wasn’t happy about it at all! He is devastated, genuinely. I saw him the other night and I said, `So how are you feeling?’ and he said, `I don’t want to talk about it.’ He’s not there yet. 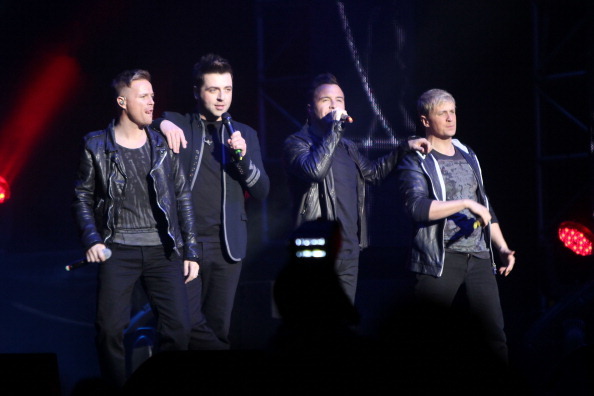 But he understands,” Feehily said.